Every Accessory You Need to Maximize Your Time and Profits! The Accessory Starter Kit includes all the accessories to help you get your business off the ground. Create a professional work center with the Cylinder Cover and 3-Pocket Balloon Caddy. 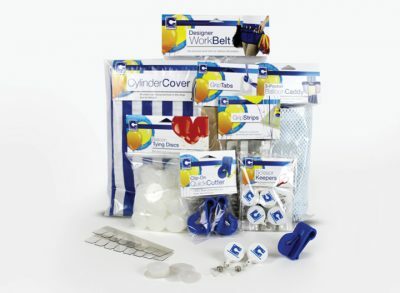 Keep all of your tools and accessories conveniently within hands reach with the Designer Work Belt; and maintain efficiency with the Quick Cutters, Scissor Keepers and Balloon Tying Discs. Save $15 with the Accessory Starter Kit compared to purchasing products individually. View the “What’s Included” tab below for details of each product. Designed and field tested by Balloon Decorators and Twisters, the Designer Work Belt features Velcro® straps that efficiently hold up to 1000 entertainer balloons on each side, easy access pockets and an adjustable belt with quick-snap buckle. Learn More. Bold striped cover features a draw-string neck that conforms to the top of the cylinder providing a clean and professional look in the store or on-the-job. 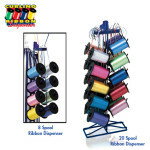 Cover is machine washable and fits medium to large size cylinders. Learn More. 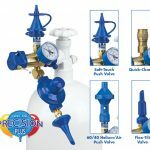 Holds balloons, ribbon, tying discs, balloon weights and more. Adjustable Velcro® belt fits any size cylinder and allows for flexibility in pocket placement around cylinder. Learn More. 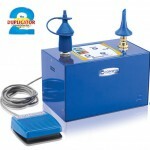 A great time saver for decorators and entertainers to quickly cut ribbons, archline, balloons and more! Conveniently clips onto any belt or apron. Learn More. These sturdy six-inch plastic strips securely grip ribbon and are great balloon holders while inflating bouquets. Learn More. Stick the Grip-Tabs to any clean surface and tie on the balloons. 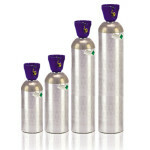 Ideal for use with centerpiece designs, delivery arrangements, and displaying inflated retail balloon samples. Learn More. Increase your productivity and prevent sore fingers from hand-tying balloons. 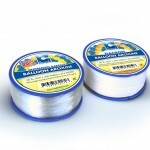 Balloon Tying Discs™ allow you to attach ribbon and tie balloons in one easy motion. Learn More. Conveniently clips to your belt keeping scissors within reach. Eliminate wasted time spent looking for scissors while decorating on the job. Learn More.